Click here to download the latest edition of The Runners Market Rundown. Click here for KTC’s calendar of events. Many people run just to stay fit, while others train for specific events or to achieve specific goals. Whatever your motivation, racing can be a fun and exciting addition to your routine. Knoxville and the surrounding area is host to many races throughout the year that range in length from the sizzling Hal Canfield Memorial Milefest to the Norris Dam Hard Trail Race 50K and 50 miler, so there’s something for everyone! 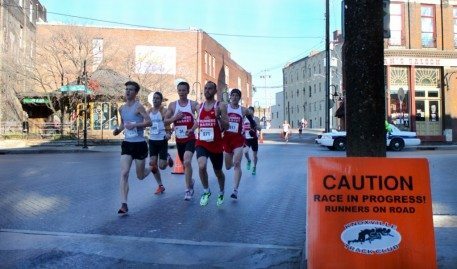 WHAT: Calhoun’s New Year’s 5K has been a staple in the Knoxville racing community for 18 years. Test your cold weather grit on this fast, fun, out-and-back course on Neyland Dr. along the Tennessee River! Race information supplied by KTC. All content Copyright © 2019, Runners Market.